Microsoft earlier this week released a new firmware update to the new Surface Pro. This update will be available to all Surface Pro (Model 1796) and Surface Pro with LTE Advanced (Model 1807) devices running Windows 10 Fall Creators Update, build 1703 or greater. The new firmware updates will improve the overall system stability, security, especially to improve pen and touch performance. The update is listed as “August 8 release” in the Surface Pro Update History page. Below are the new driver and firmware version with improvement information for the update. Marvell Semiconductor, Inc. – Bluetooth – 15.68.9125.57 – improves system security. Marvell Semiconductor, Inc. – Net – 15.68.9125.57 – improves system security. Surface – System – 4.18.136.0 – improves system stability. Surface – System – 1.16.139.0 – improves pen and touch performance. Surface – Firmware – 429.0.1.10 – improves pen and touch performance. Surface – Firmware – 234.2291.769.0 – improves driver installation servicing. If your Surface Pro hasn’t yet installed the update, it should be displayed in the Windows Update now. 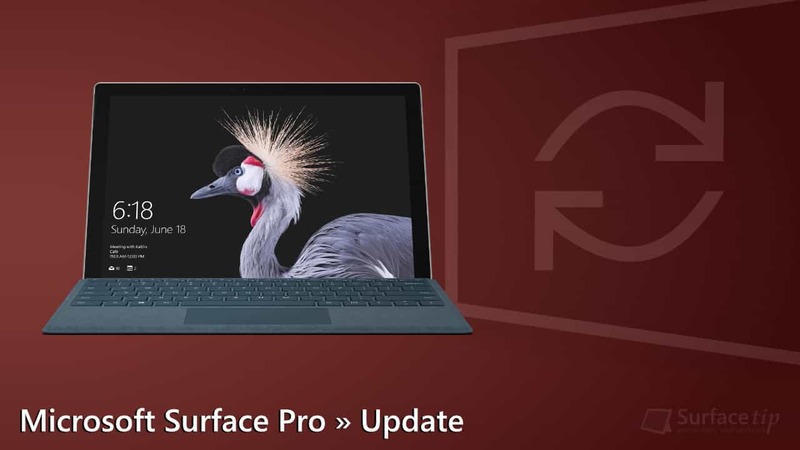 We appreciate hearing your thoughts, questions, and ideas about “Surface Pro receives a new firmware update (August 8, 2018) to improve pen and touch performance”. Please post respectful comments and on topic. We will be replying back to you as soon as possible. Share your idea about "Surface Pro receives a new firmware update (August 8, 2018) to improve pen and touch performance".